Guaikinima ( why- kee- ni-ma, "In search of freedom” in Venezuelan indian dialect), is based on the complementary development of the child who, while being in contact with nature, away from everyday life, will be living new experiences and developing new skills that will teach them valuable knowledge for their personal growth. Few dedicate their lives to Summer Camps and fortunately I am one of them! I work having fun In Summer Camps, I have dreamed them, devised, designed, built and managed over 30 years. And I have a lot of passion for what I do because I deeply believe in the need for our children to learn to handle themselves independently in natural, challenging and controlled environments. The unforgettable and transcendental experience that children and young people gain by living together with friends and councelors, "away from home" and without the direct influence of their parents is fundamental to growth, empowerment and maturity in their lives. I actively participate with the campers in the activities because it allows me to know them better and to support them in their experience in the camp. We know that Parents are distressed when their children go to a camping season with overnight stays and that's why we create our exclusive Camp Mom! She will be your best ally during your children's stay at Sleep-Away Summer Camp. You can call her and she will attend you with the best disposition, she will inform you about your son and his/her wanderings. She will give each camper individual attention and monitor overall health, in coordination with the nurse who will attend 24/7. She will do what is reasonable and necessary so that the parents are calm, but always taking care that the camper has its independence and concentrates on enjoying Camp Guaikinima to the maximum! The first time your child goes to a Sleepaway Summer Camp? Our Camp Mom, Amäy will make it much easier! 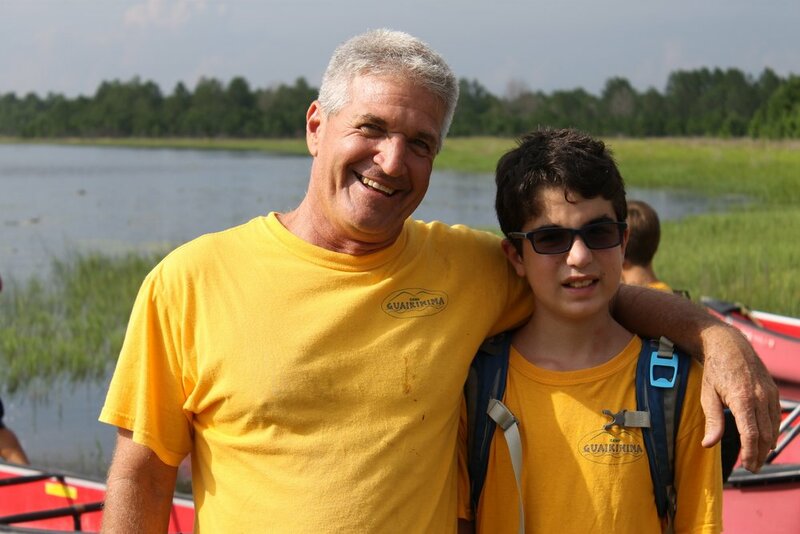 To provide campers with a comprehensive program, with recreational and educational activities where safety plays an important role within an environment of respect, friendship and excellence that will enable them to enjoy a healthy contact with nature and obtain experiences that will contribute towards their personal growth. 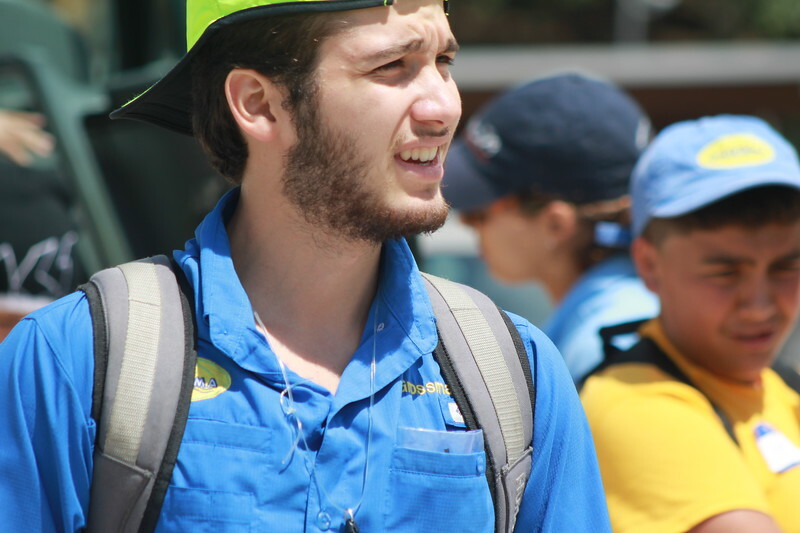 Alejandro is the soul of the camp for his energy, his creativity and his level of commitment. Guaikinima staff since 2012, started as a counselor, then as water sports coordinator, wakeboard instructor, kneeboard, waterski and Program Coordinator in 2017. Alejandro is studying International Business at Broward College, enjoys fishing and extreme sports. 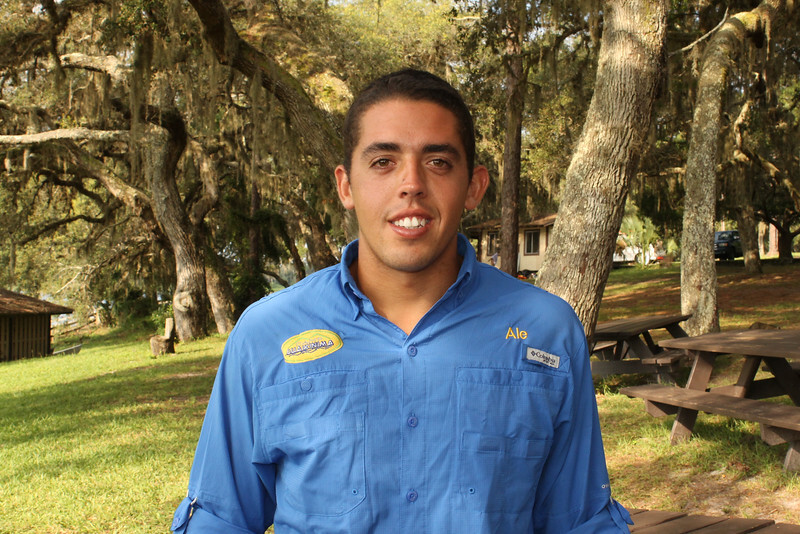 Alejandro gives Guaikinima a unique touch and is well liked by his campers. If you are ever looking for Ale in the camp, follow his loud voice or go direct to the boat!! Photography student at Miami Arts Charter Schools. Guaikinima camper since she was 6 until CIT. In 2016 managed to become certified as a councelor and was in charge of the photographs of all campers. Photography Student and Guaikinima staff after certifying as councelor in 2016. Started as soccer instructor at Guaikinima Day Camp in 2015 and councelor at sleepaway season in 2016. Medical Student at Broward College and he is Guaikinima staff after certifying as councelor in 2016. 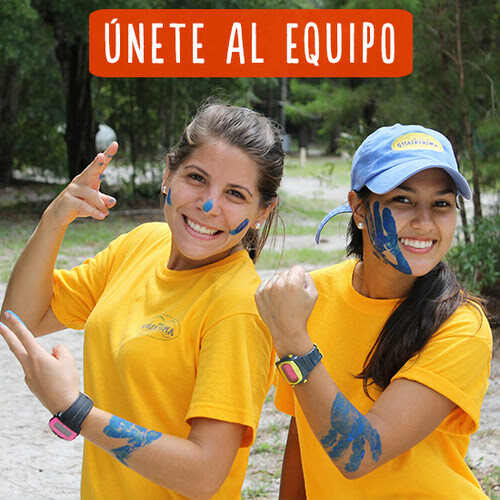 She es a Senior Student and has been a camper 6 year ago, and CIT in 2015. She is Guaikinima staff after certifying as councelor in 2016. Sebastian is a Senior Student, started in Guaikinima as a camper 5 years ago, then as CIT in 2015 and he is Guaikinima staff after certifying as councelor in 2016. ISABELLA STUDIES MARKETING IN FLORIDA INTERNATIONAL UNIVERSITY. SHE STARTED IN GUAIKINIMA IN 2011 AS A CIT, THEN AS A COUNCELOR IN 2014, PROGRAM COORDINATOR IN 2015 AND CAMPERS COORDINATOR IN 2016 ALWAYS ACHIEVING THE BEST RESULTS AND COMPROMISED 100% WITH THE SEASON. ISABELLA IS A ROLL MODEL OF PERSEVERANCE AT GUAIKINIMA AND SHE WILL BE SUPPORTING US AS A COLLABORATOR TO LIVE THE MAGIC OF GUAIKINIMA AT ANY TIME. The Maracucha! (from a state in venezuela) Early Childhood Student at Broward College. She started in Guaikinima in 2013 as a councelor at the cabin of the Cayenas, in addition she is councelor of boating and ropes. Valen is one of the most 4x4 and warrior councelor at Guaikinima. Her passion and dedication give the season a special touch, especially since she always wants to give affection. His favorite activities are ropes and wakeboarding. For Valen the word "no" does not exist and less if it is an adventure; she loves nature and always injects her desire to teach, to learn and to be better every day to the whole Camp. Industrial Engineering Student at Broward College; he is Guaikinima staff after certifying as councelor in 2016. Advertising and Public Relations Student at Broward College; she is Guaikinima staff after certifying as councelor in 2016. Psichology Student at Nova Southeastern University. Started as swimming instructor at Guaikinima Day Camp in 2015 and councelor at sleepaway season in 2016. Sports Psychology Student at Broward College and he is Guaikinima staff after certifying as councelor in 2016. He was in charge of organizing and uploading the photography of the 1st and 2nd session speepaway in 2016. Isabella is a Senior Student, started in Guaikinima as a camper 5 years ago, then as CIT in 2015 and she is Guaikinima staff after certifying as councelor in 2016. He studies biology at Nova Southeastern University. His dream is to be a pediatrician to be able to heal children. he loves to travel, to know new cultures and to try new foods. He is a lover of sports, cooking and nature. He started in Guaikinima in 2014. In 2015 he was a ropes councelor and since 2016 program coordinator. Max enjoys the magic of the camp and the happiness of the campers. Graphic Design Student at Broward College; she is Guaikinima staff after certifying as councelor in 2016. Psichology Student at Broward College; she is Guaikinima staff after certifying as councelor in 2016. Architecture student at Broward College, has been camper since she was 4 years old and CIT in 2014. She is Guaikinima staff after certifying as councelor in 2015. Pablo is a Business Administration student at FIU, started in Guaikinima as a camper 10 years ago, then as CIT in 2014 and it’s been 2 years as councelor and boat councelor. ANITA IS AN ARCHITECT GRADUATE OF THE CENTRAL UNIVERSITY OF VENEZUELA. GUAIKINIMA COUNCELOR SINCE 2008, AND CONTINUED ON THE TEAM WHEN WE CHANGED THE MAGIC OF GUAIKINIMA TO FLORIDA. SHE HAS GREAT SKILLS FOR ROPES AND ART ACTIVITIES. SHE IS CHARMING TO INTERPRET A CHARACTER AND TO WEAR A COSTUME AS WELL AS TO TAKE A TENT AND GO CAMPING. ANITA STAYS WELL INSURED IN GUAIKINIMA AS IN THE RAPEL FOR MANY MANY YEARS SINCE NOW SHE IS THE WIFE OF MR RODRIGO. ANITA WILL ALWAYS BE SUPPORTIN US MAKING GUAIKINIMA A GREAT FAMILY.